Home / Uncategorized / It’s The Year of the Sheep! 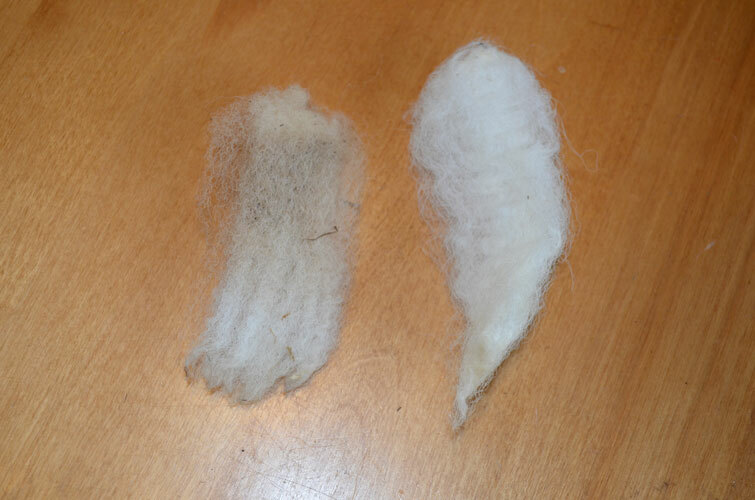 Interestingly I have spun and knitted several pairs of Perendale socks from two different breeders. 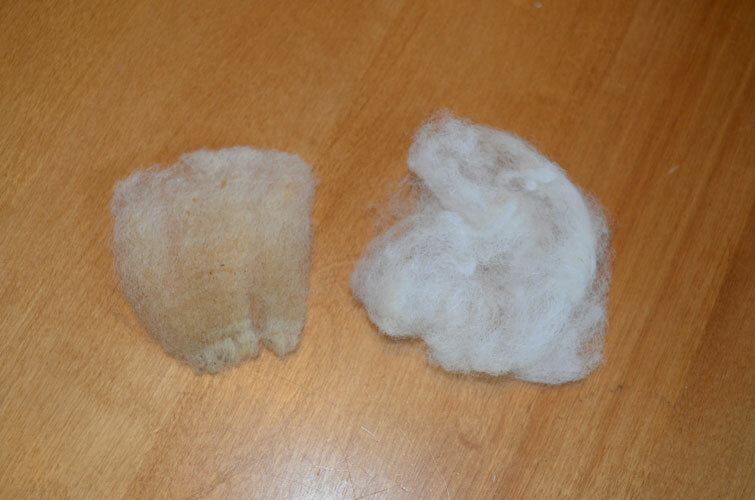 None of this fleece was tender. Two pairs have developed holes in the lower heel within a few months of wearing them. They are a little less than sport weight, have a slip stitch heel and toe and Navajo plied yarn on the foot area. I have also spun a pair of Romney house socks that I wear nearly every day. They are a light worsted weight and are 11 months old. I even wear them most days when I go for my daily walk with walking boots on. Yes, there is some wear inside the sock on the lower heel, but they are holding up rather well. 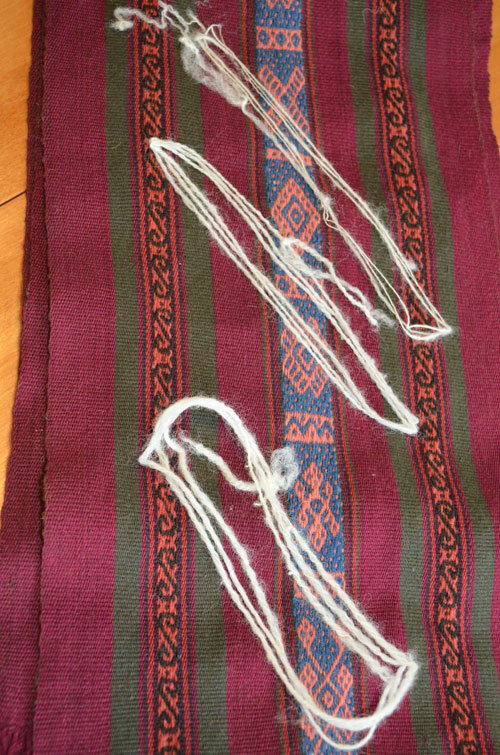 They also have the reinforced stitch on the heel and toe and the whole sock is Navajo plied. I have used Cheviot on the heels and toes in Navajo/cable ply in a pair I finished a few months ago using Shropshire/Corriedale Border Leicester X, but haven’t worn them as much as the others. This has been a huge disappointment when considering the parents involved here. I really thought it would be a winner. Romney is much better but the jury is still out on the Cheviot at this stage. I am also trialing Texel, East Friesian, Dorset Downs and mixes with non-baby alpaca in the search for that perfect sock yarn. Sorry to say, it is thumbs down for Perendale. I’ve had great success with Perendale as a sock fiber myself, so while it may be thumbs down for you, it’s not for everyone. 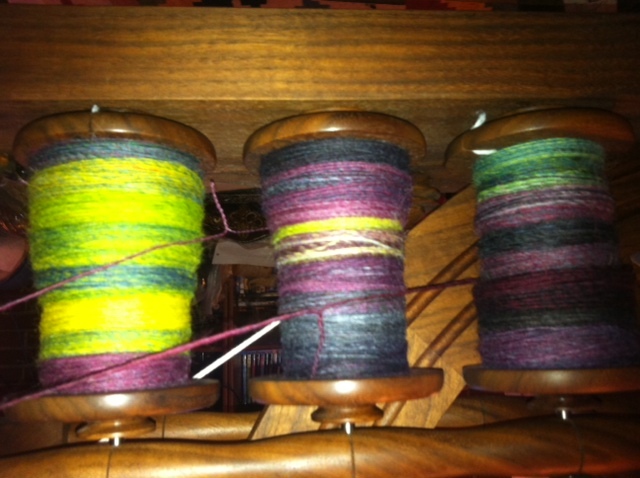 There are lots of ways to spin a sock yarn and the fiber type alone should not limit you. In fact, I would recommend playing with each element of the process to find what works best for your socks. I would recommend trying a a tighter plying structure and a straight 2-3 ply over a navajo ply and see how that goes for your socks. 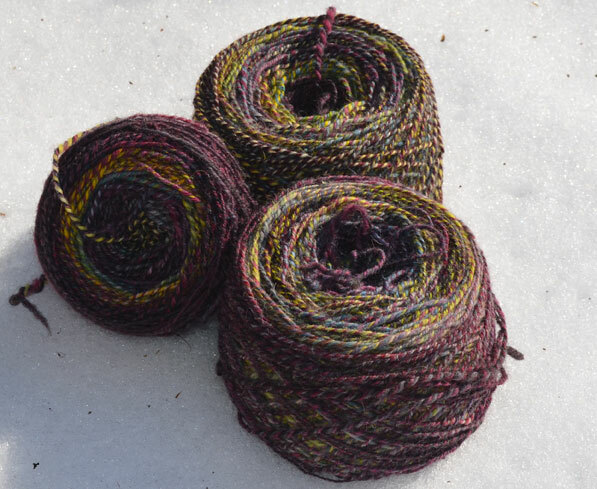 I normally use a down breed, my Dad favors Cheviot, for hiking boot socks, and I spin it tight and ply it it tight – much tighter than I would otherwise – in a 3 ply. When I knit his sock I also use 2 needles down from my “normal” gauge. May I recommend PLY Magazine’s Spring 2017 Down Issue for some great discussions on sock experiments?